The Sri Datta Mandir is located in Sanquelim in Goa and is dedicated to the Hindu trinity of Lord Vishnu, Lord Shiva and Lord Brahma. 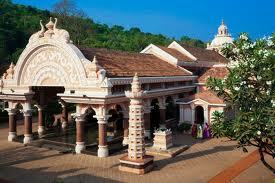 The temple's annual festival is held in December - January and it is located amidst beautiful surroundings on a hill. Devotees claim that people who come here with mental ailments are miraculously cured.